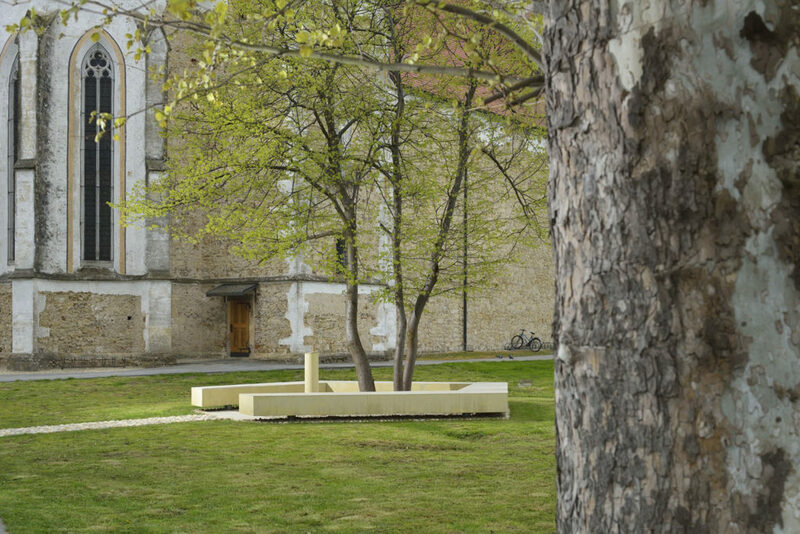 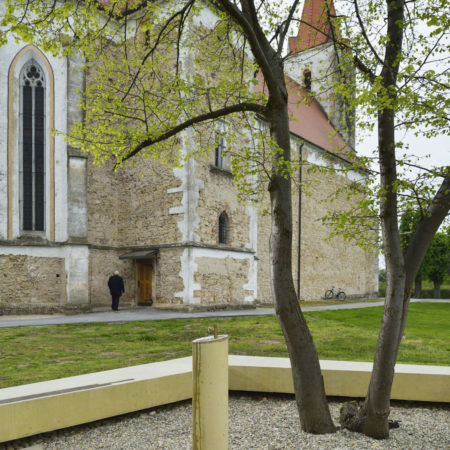 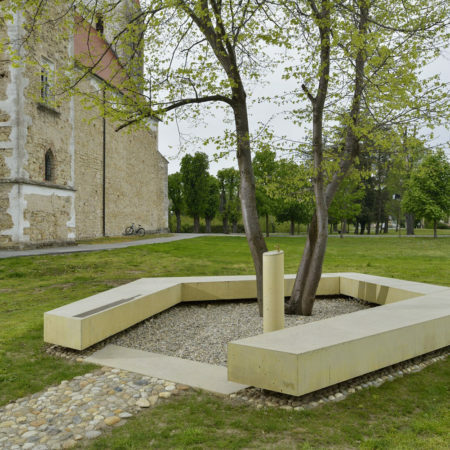 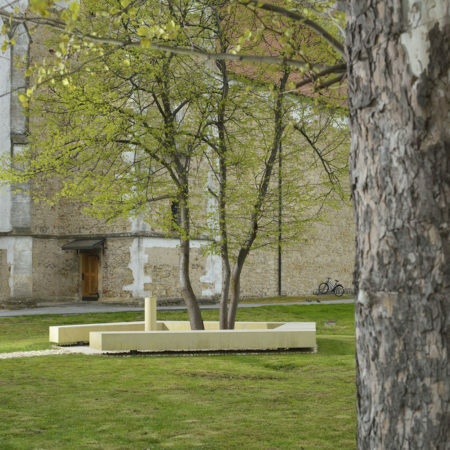 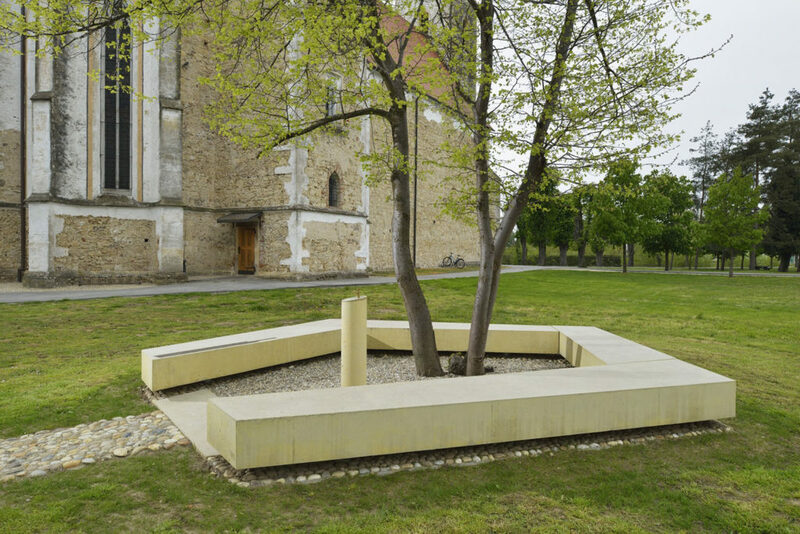 In the local church park in Tišina village, situated in the northeast of Slovenia, we created a small commemorative seating area with concrete bench and a water fountain. 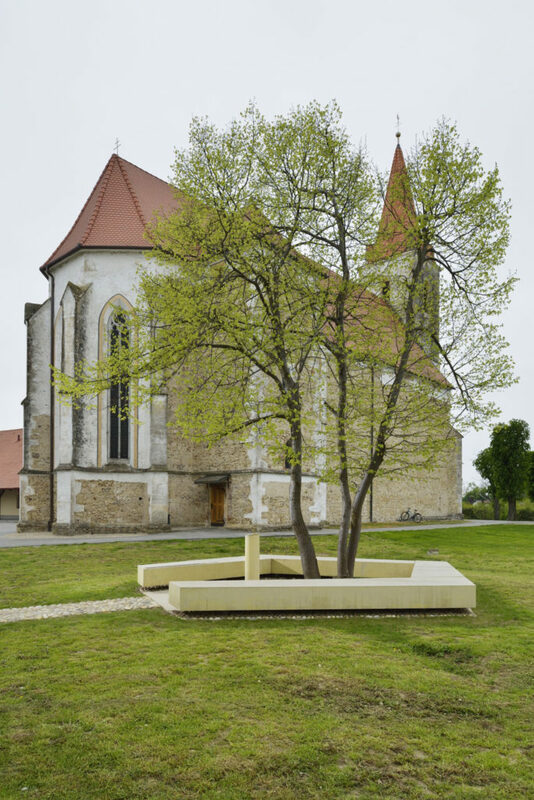 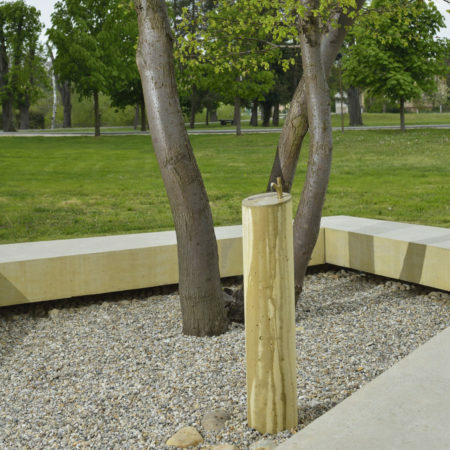 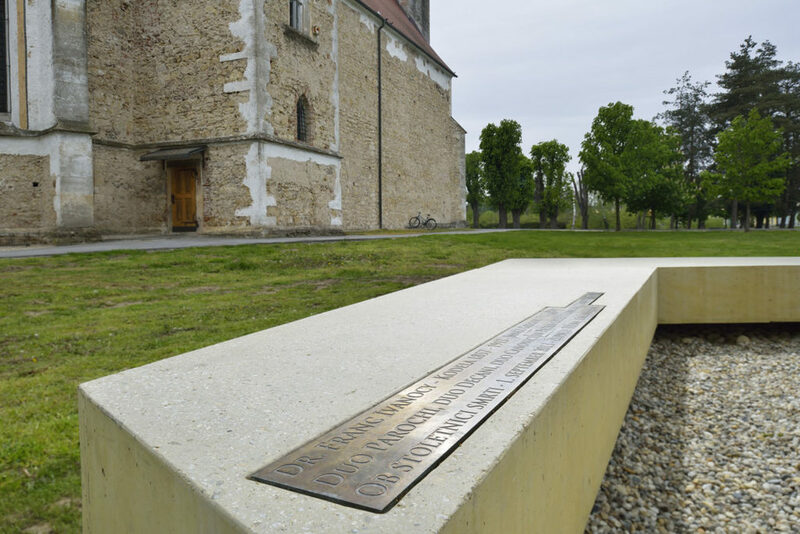 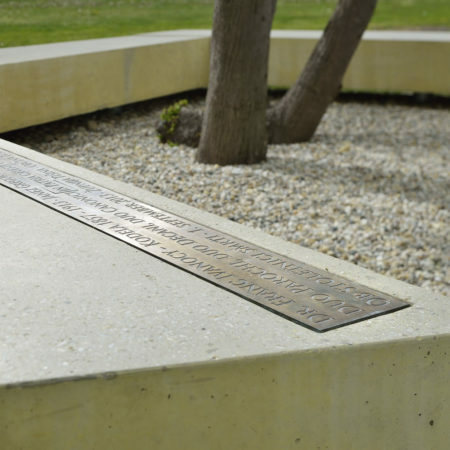 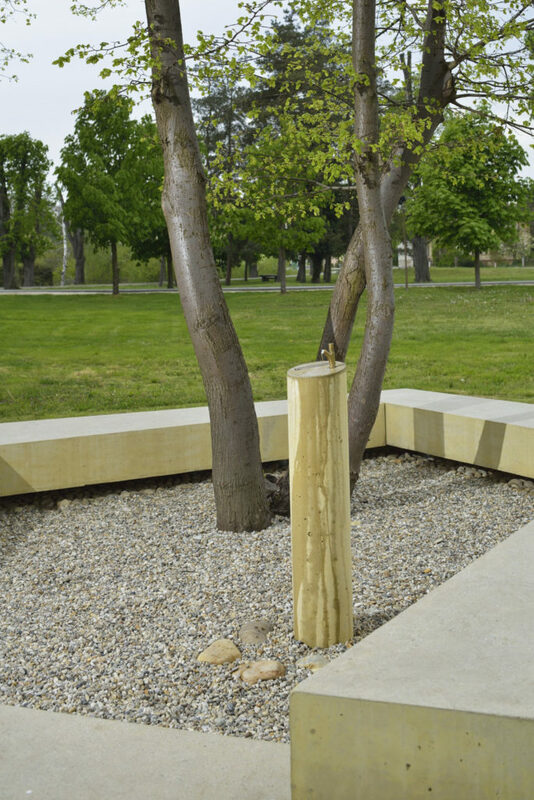 We designed a memorial landscape with a minimal intervention in the rememberance of two local priests. 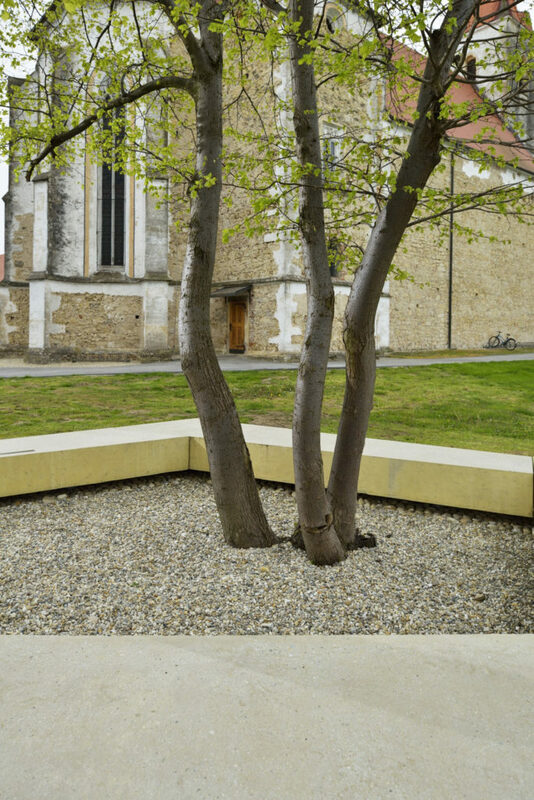 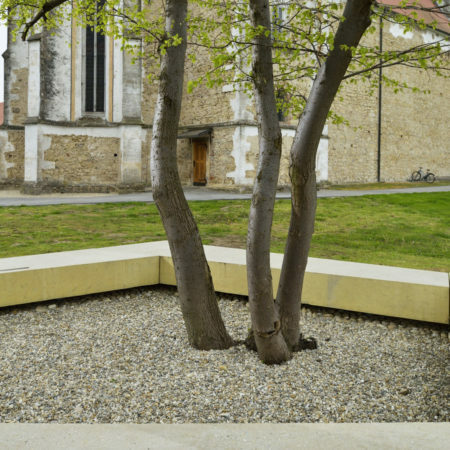 At the location where one of the priests used to rest under tree we set a polygonal concrete bench around the multistemed tree small-leaved linden. 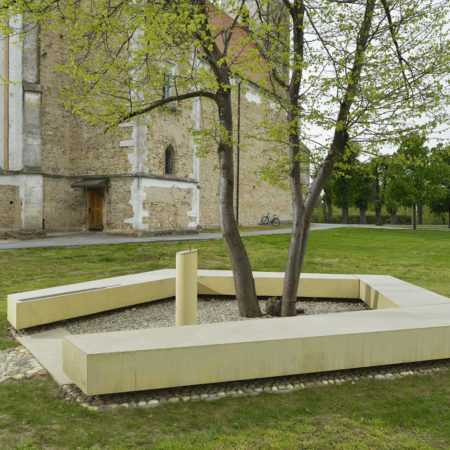 The bench is positioned on invisible supports, thus juxtaposing the materiality of the concrete bench with its levitating character, rendering it almost immaterial. 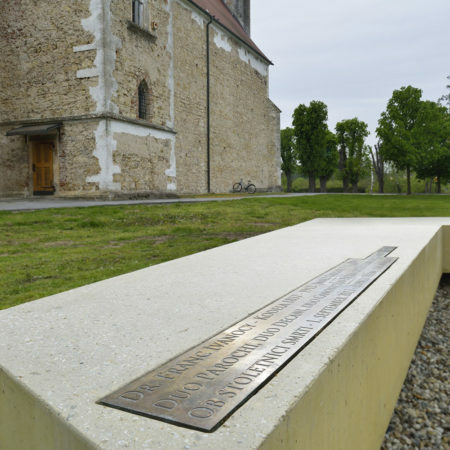 A chronogram commemorating the priests is engraved in the bronze plate on the bench. 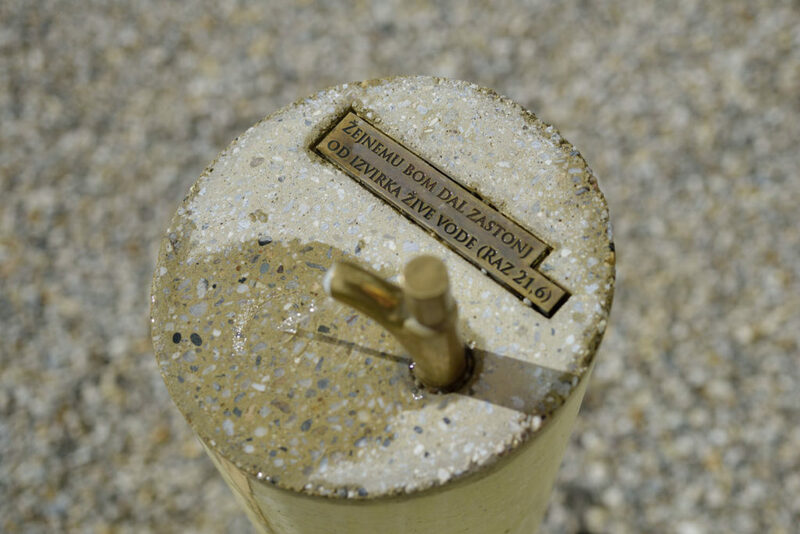 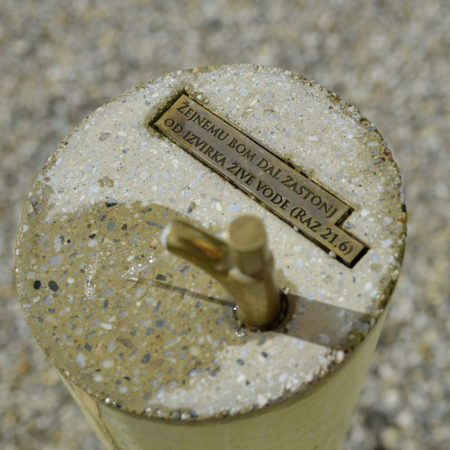 Another small bronze plaque is attached to the top of the cylindrical drinking fountain with line from the scripture in Slovenian language: ‘I will give unto him that is athirst of the fountain of the water of life freely’ (Rev 21:6). 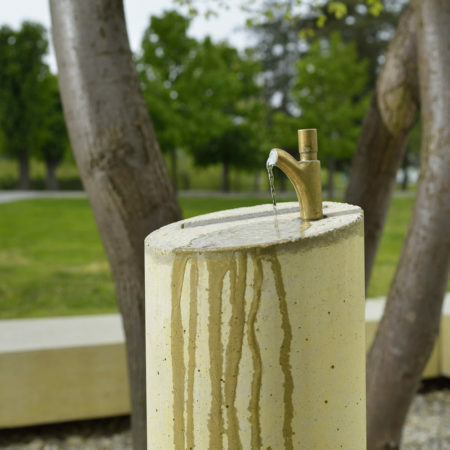 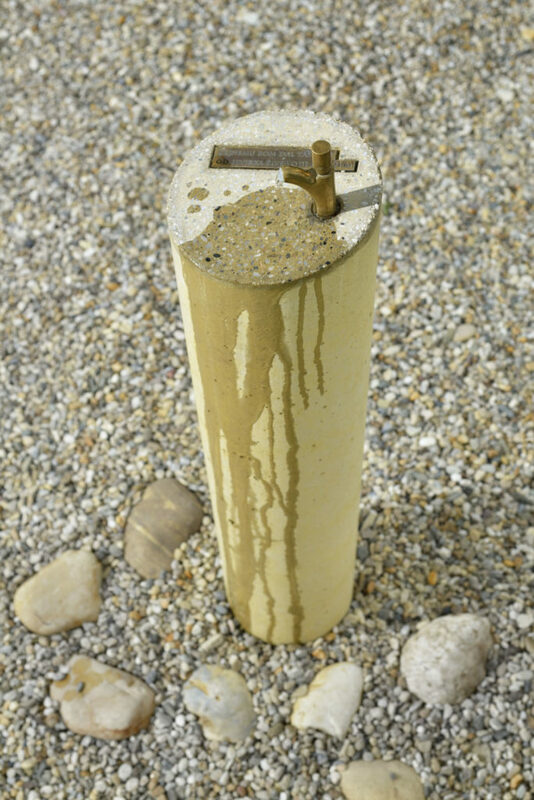 When drinking from the fountain, the water flows freely over the concrete cylinder and describes patterns that appear and disappear. 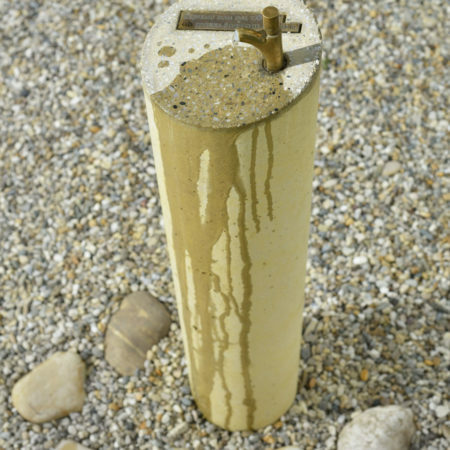 Eventually, the surface will develop colours and textures of its own due to iron minerals in the water. 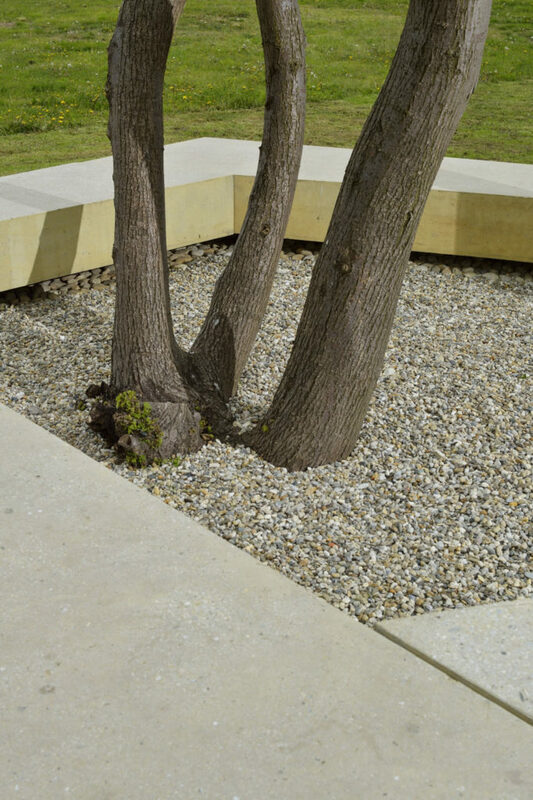 The landscape is tranquil, yet ever changing. 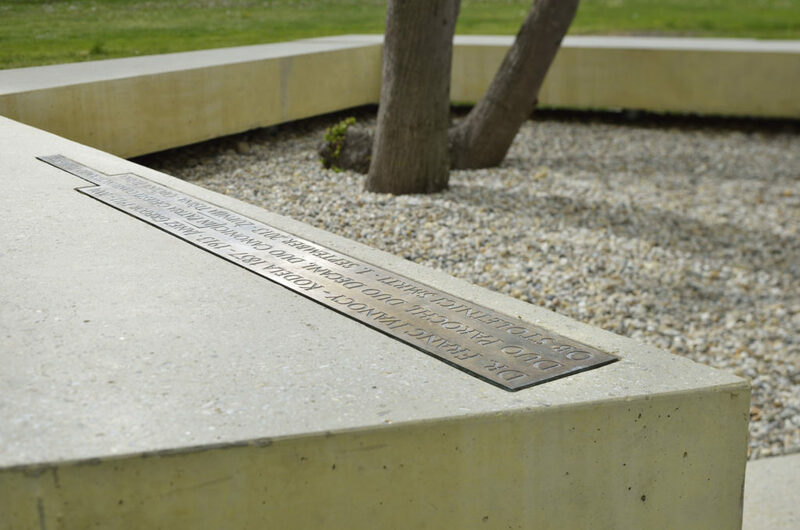 The seating area under the linden tree is a memorial place, where you stop briefly, lean over the fountain to drink the water and contemplate the words from the scripture. 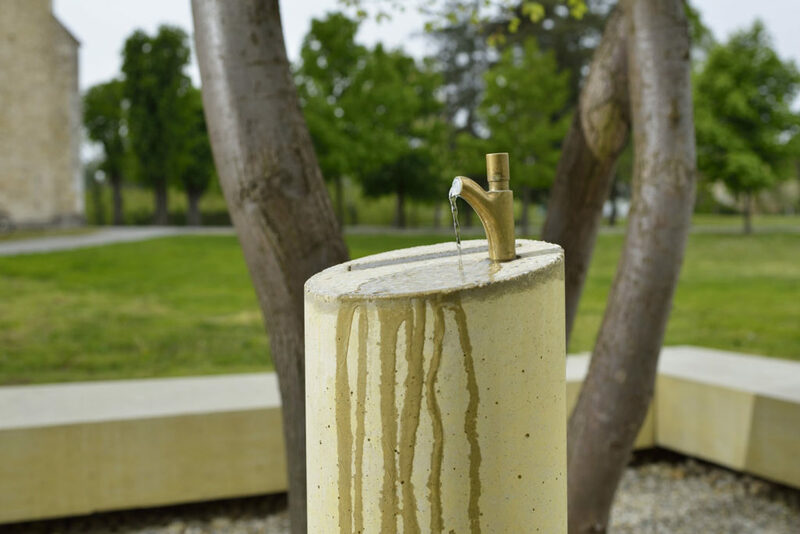 You quench your thirst and observe the ever-changing pattern of the water dripping through your fingers. 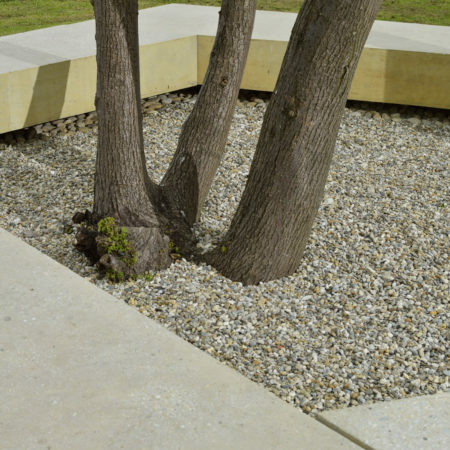 Perhaps you might just sit for a while in the shade under the tree. 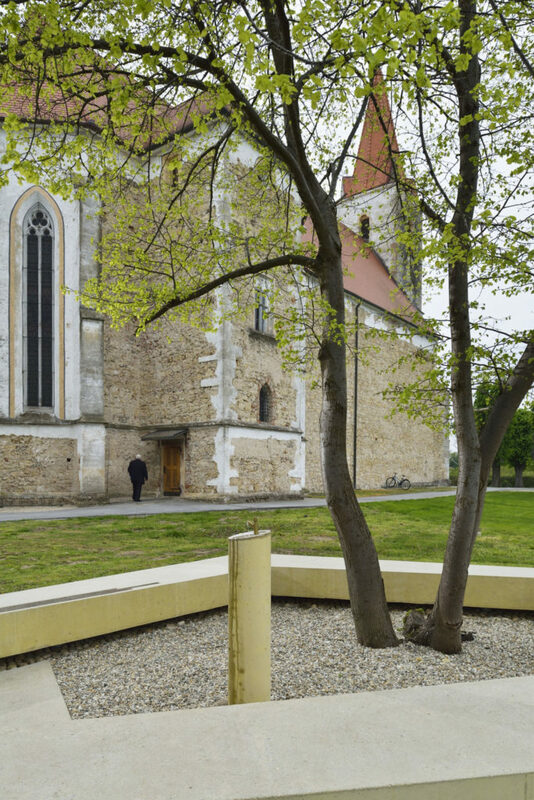 Studio TSK Oblikovanje krajine Tanja Simonič Korošak s.p. 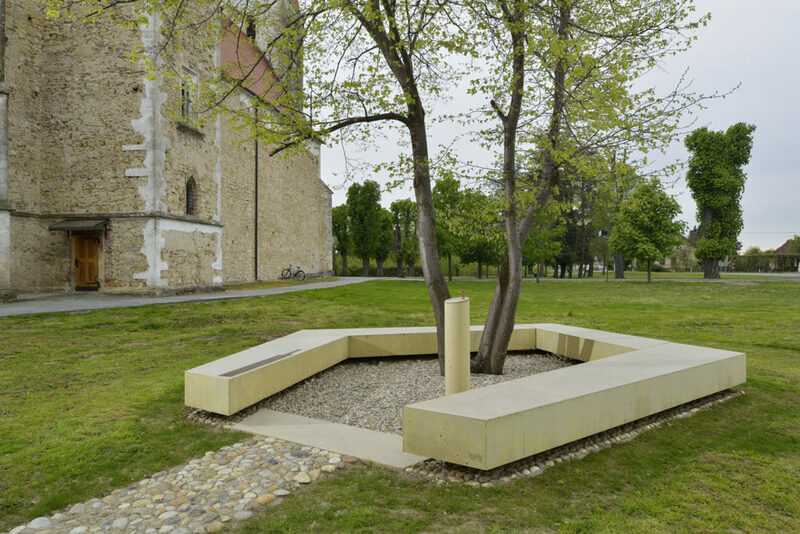 Entrant name: Skupaj arhitekti d.o.o.